Few Lego builders are as masterful at combining model-making and engineering as Jason Allemann of JK Brickworks. 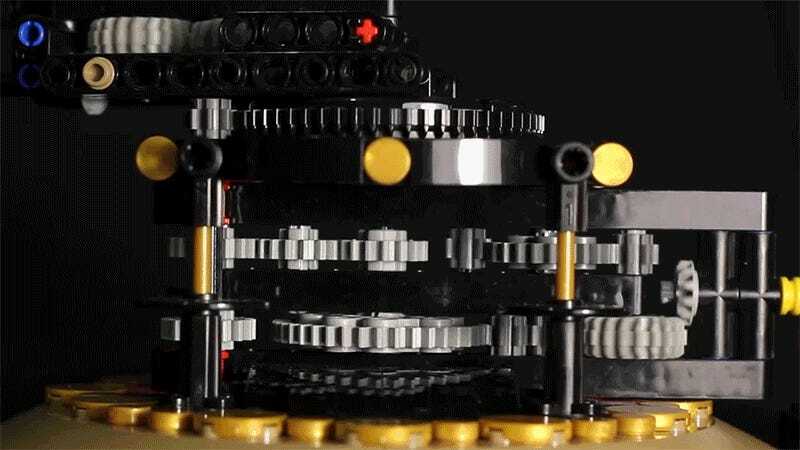 His latest creation, a miniature Lego Orrery depicting the moon orbiting the Earth, and both of them orbiting the sun, not only works, it’s also 97 percent accurate. Because Allemann was limited to the gears and other components available in Lego’s Technic line, the tiny moon in his Orrery orbits the Earth every 28 days, while the Earth’s year-long voyage around the sun takes 375 days. What’s even more remarkable, though, is how few components are needed to actually bring the Orrery to life. But that might not be the case once he decides to expand his build to include the rest of our solar system.